At Les Mills, we work hard to create world-class group workout marketing assets to support your club. When you partner with us, your club gets access to everything you need to power up your marketing and create real impact. 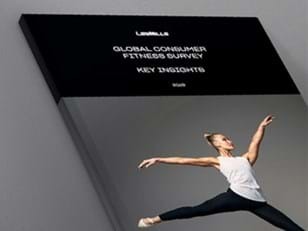 Partners of Les Mills have access to our high quality, regularly-updated branding, campaign and promotional material. We produce ready-to-use web and social assets, as well as material you can customize for your club, like posters to get your members excited about new releases or class passes to entice new members to try you out. And you can draw on the expertise, support and resources of our global marketing team. Work with the team to host a relaunch event for your new workouts, run a program campaign to engage members to try the class and grow your attendance numbers, run a recruitment campaign to find and train new Instructors and design wallpapers with the latest images from the Les Mills photoshoots. New quarterly launch campaigns, program-specific campaigns, images shot by world-leading photographers, digital and video assets and studio wallpapers are constantly being made available for our partners to use. Every campaign comes with an easy to follow guide which includes ideas on bringing it to life in you club, breaking down the marketing jargon and linking you directly to download the assets you want. Even if you're not a marketing expert, you can use our expertise to create compelling messages for potential and existing members. 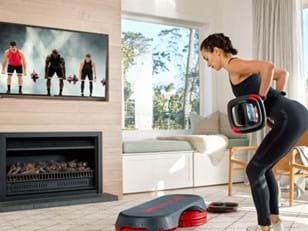 Les Mills partners have access to our marketing assets platform, Brand Central. This fully-searchable portal houses everything available to you. This fully searchable portal houses everything available to you including quarterly campaigns, social tiles, trailer videos and customisable templates. You can log in to Brand Central here or find out more about Brand Central here. Want to know more about powering up your club’s marketing with Les Mills? Get in touch today. The numbers will keep on growing. 69% of exercisers who don’t belong to a club would like to. Is your club equipped to meet that untapped demand?